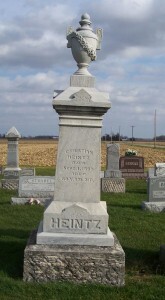 This is the tombstone of Christian Heintz, located in row 5 of Zion Lutheran Cemetery, Chattanooga, Mercer County, Ohio. The gravestone is inscribed: HEINTZ, Christian Heintz, Died Sept. 1, 1889, aged 59 Y [years], 8 M [months], 21 D [days]. Christian’s death and burial record as it was recorded in Zion’s church records: Christ Heinz, born 10 December 1829 in Hamburg Germany, died of diphtheria on 1 September 1889 in Celina, Ohio. He was buried in Chattanooga, Ohio, on 3 September. Rev. Christ Reichert, Evangelical Lutheran Pastor here. The following information is also in Zion’s records: Christian Heintz was the son of Friederich Heintz and his wife Elisabetha, born Bach. Christian was born 10 December 1829 in Erbach, County Hamburg, Rhein–Bavaria. He was baptized there and raised in the Roman Catholic Church. However on 17 October 1863 he was confirmed in the Lutheran faith and was received as a member of Zion Evangelical Lutheran Church, Mercer County, Ohio. Christian traveled to this land in the year 1852 and married Catharina Oberkircher in June of the same year. She was the daughter of Philipp and Charlotte Oberkircher, born Baus. Catharina was born 25 June 1828 in Altstadt, County Homburg, Rhein–Bavaria. She was baptized and confirmed there. 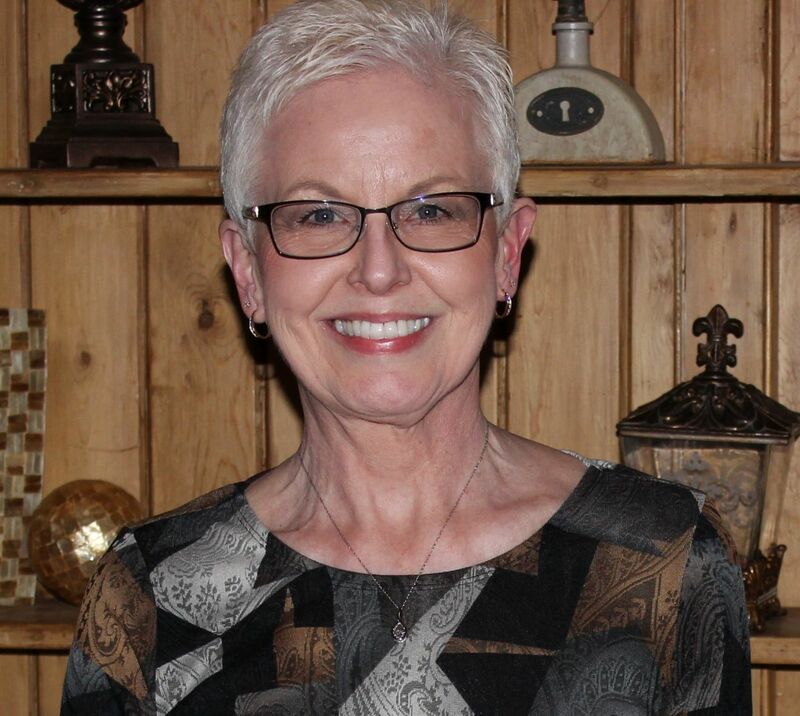 She traveled to this land in 1852. Both spouses lived a few years near Columbus, Ohio, and then moved to this neighborhood. They had one known child, Catharina, born 12 August 1852. She died in the same year. His wife’s tombstone is next to his.